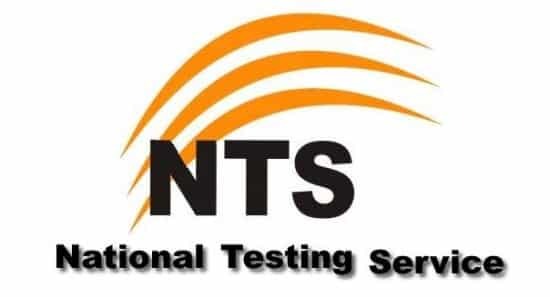 NTS Application Form Download Online on This Page ntsonline National testing system conducts the assessment tests like the NAT I and NAT II and GAT test NTS is playing the vital role in promoting merit and the quality education in the college and universities. NTS tests are conducted to get admission in HEC recognized public or private college and universities. NTS tests organize for get admission in college and the purpose of recruitment and get scholarships on merit basis. How can we apply for the NTS Test FORM? These are the following steps get for NTS form step by step process. First of all, students have to download the NTS application from the Ntsonline website as well as official website. Applicants have to fill up the form very carefully. Students have to deposit Rs. 650 (six hundred and fifty rupees) through the prescribed deposit slip. Students can submit their fees in the online branches of MCB, UBL, HBL, or ABL. There are two copies are available for the NTS. One is for NTS application form and second copy is available for the Bank. Students have to attach the two photographs with the registration form. Students have to select the city and the test Centre where they can easily appear for the test where the NTS test would be conducted. Students have to write the e mail address and attach all the testimonial copies. NTS authorities will not accept the incomplete form. Students can easily download the NTS forms from Ntsonline website. Students can easily come to know all the details about NTS tests.